in school - with specific suggestions for a number of relevant topics. Information on grade-by-grade learning, talking with kids, school involvement and more. Specific information on a number of topcs relevant to learning, growing up, developmental stages, and handling challenges that arise in child rearing. 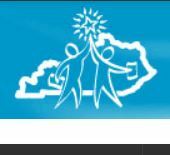 Information on school report cards, SBDM, ECE and other Kentucky education initiatives and regulations. A parenting website that bills "funology" as "the science of having fun. getting involved in your child's education.